The Annual Phoenix Meeting held by the NRA at the Bisley Shooting Grounds in Surrey, England was a record breaking event this year for the NRA, with something in the region of 550 competitors from a myriad of Nations. Ireland was very well represented with something like 47 competitors taking part in dozens of events. NRA run a very tight ship – all the preparations that go on behind the scenes made for a very relaxed environment. Registration, for so many people, ran like clockwork. Charles Murton and the Stats team worked away quietly in the background – processing thousands upon thousands of scores. The ROs stood out there in that blistering heat for four days – having already shot their own events in the preceding two days. All the while, having the craic, ensuring everyone got their events shot, ensuring everyone went home with as many fingers and toes as they arrived with and, most of all, making sure they enjoyed themselves. My hat goes off to them, for a job very well done. NRA had a “Meet The Clubs” display where there were stalls from some of the clubs of the NRA. They had some amazing firearms on Display – with a functional Boys Anti Tank Rifle – three Barrett Light 50s and many many more. I dropped in for a chat and a cuppa with some of them on the Friday and it was great to hear what they do in their clubs – as you can imagine, not that different from our own. The Trade Fair at Bisley also had loads of shops hang a shingle. Every time you took a stroll round it you found something new. Again loads of historic firearms as well as more modern ones – there were even a few of the new Marlin 1894s there to have a poke at. You could easily go there for the weekend just to go shopping. The hospitality was brilliant. With so many Irish, they were spread out across every type of accommodation on offer in Bisley. Some were staying in the Pavillion, a hotel on site. Others were staying in some of the clubhouses on site – many of them worth a visit in their own right. Yet more were staying in cabins, caravans, tents and some off site in nearby hotels and guesthouses. Every evening, after play was brought to a halt, people descended on the various clubhouses for a bit of dinner, a bit of craic and no doubt a glass was raised to a great score or some tall tale of two bullets that went through the one hole in the X ring. On Sunday Night, Taff Wilcox organised a BBQ in the Army Target Shooting Club for the ROs and the competitors still on site for the following days International Matches. A great night was had. Once the sun went down the Midges were epic – I have been eaten alive by them on the bog or even on some of our own ranges (Bracken!!) – but these were a different breed. Some people were too slow to apply noxious chemicals and paid the price. But instead it was a bottle of moisturiser which purported to repel the said beasties – and it did!!! Not only did I have to explain, when I got home, how my “weekend” turned into 5 days – but that I had been moisturised by a scotsman – and went back for more!! BDMP hosted the Annual IGRF Council Meeting in the Spott during the Phoenix. Again thanks to Dietmar, Anna and the BDMP for the hospitality. Much was discussed, especially around preparations for the 2019 World Cup in South Africa. We will do another update on that later – but some of the topics discussed were to look at implementing a ladies award and a juniors (under 25) award at IGRF Events. 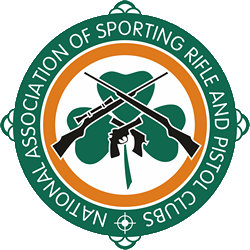 There are many familiar Gallery Rifle disciplines at the Phoenix – but also many Gallery events that we have not offered on the National circuit here in Ireland yet – such as Bianchi, Gallery Rifle Classic and Open and a host of longer range competitions. Target Shotgun was also quite popular with a lot of entries. There were new challenges for everyone and some very good scores recorded. Harbour Houses Jakub Mikolajczyk won Joint “Best Newcomer” with BDMPs Daniel Blagojevic – An award won by Lough Bo’s Daniel O’Flaherty last year. Both of them had put in amazing scores all weekend and were deserved joint winners..
A couple of guys to watch in the coming years. Target Shotgun saw a large contingent from Ireland put in some very good scores indeed and in a first team event – against Great Britain and Germany aggregating seven different events – Ireland took second place. Deservedly, a lot of focus had been put into the 100yd and 200yd events – which I think we can all agree is one hell of a shot with a shotgun – with extremely good scores being recorded – IPAPCs Jeff Kehoe took the gold, equallying the Bisley record (50) on score , but alas not on V-Bull count and An Riochts Ian McGill taking a Bronze with a score of 45. I am told that Multi Target, what many would assume to be a good score, in the bag, was where Ireland lost out. I sense a lot of entries in TSG MT over the coming months. The medal haul in TSG for Ireland was as follows. Smallbore Gallery Rifle did not see a lot of Personal Bests on this outing. From talking to people, a combination of too many events and the constant heat, had an effect on many people’s concentration and performances. Food for thought for future Phoenix events. For reference, the Irish team score at the Uk Leg of the Series in 2017 was 5902.327 and their World Cup winning score in MNSCI in 2017 was 5921.408. So some work to do – but it shows that the teams represented in the IGRF Nations hold themselves to a very high standard. Of particular interest were some of the competitors from Harbour House- being classified for the first time – Jakub Mikolajczyk & Julie Moran. They put in some fantastic scores. With Jakub obviously winning a great haul of medals and joint best newcomer. The medal haul in GRSB for Ireland was as follows. GRCF saw a few more personal bests than GRSB – but still it was tough going, shooting in the heat. Manys a thumb can attest to the fact that,after shooting a long match such as a Bianchi, 1020 or 1500 – it was not advisable to touch any of the metal on the rifle. We heard anecdotally that between firearm and ammunition heating up throughout the day it was causing some scattered groups – we may call a stewards enquiry on that one – but there is no doubt it was challenging shooting conditions. Again Ireland’s GRCF Team was not on World Champion form – With Jeff Kehoe cross shooting 5 rounds in Match 3 and Daniel O’Flaherty having a less than ideal match 5, it meant that Team Ireland only took Bronze at the Uk Leg of this years series, on a score of 5910.342 – to Germany’s Silver of 5926.376 and Great Britain’s Gold on 5939.396. For reference Ireland’s score in the 2017 UK Leg of the series was 5902.375 and their World Cup winning score, in MNSCI in 2017, was 5963.432. So there is very little between the IGRF Nations in GRCF – anybody can win it on the day. The medal haul in GRCF for Ireland was as follows. NASRPC have now updated the Irish National Classification database and National Leaderboards with all the relevant scores from the Phoenix – you can find a breakdown of those results on these links. Of course there were many, many more events from 10m out to 1200m – where the Irish not only competed, but did very well.